Back in the 1960's there was a road planing gang that used to work in this area at times. 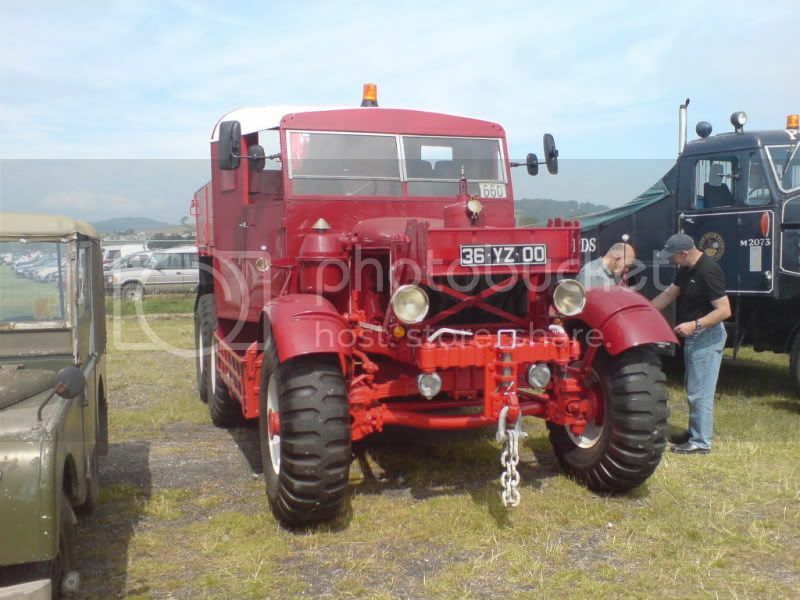 They used a Pioneer gun tractor in pretty original condition with a bulk fuel tank in the back to fuel the burner. 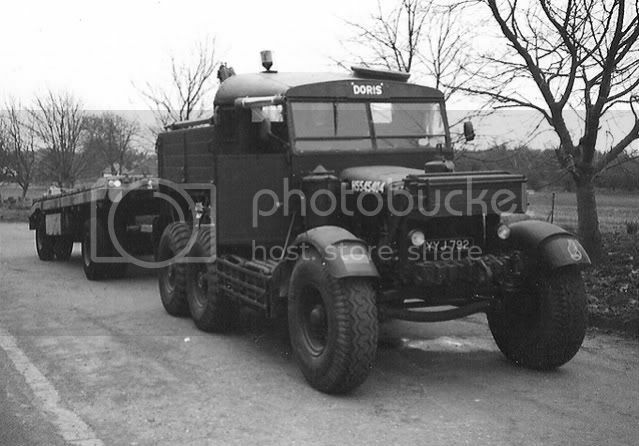 The firm was E.A.R.A.T., which I think was East Anglian Roadstone & Transport, truck was painted red. Anyone got a photo of their Pioneer as I did not take photos of it sadly. 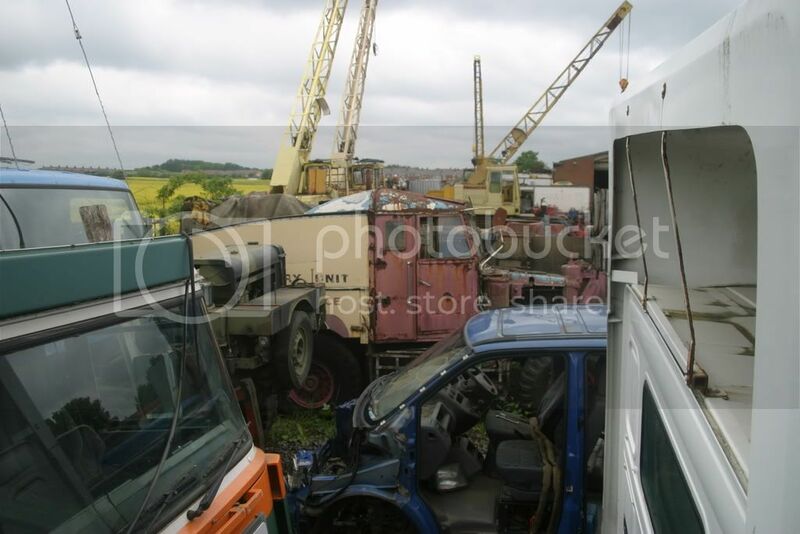 Wroughton Show about 10 years ago. The last shot is Christened "Bastardslow" if I remember. 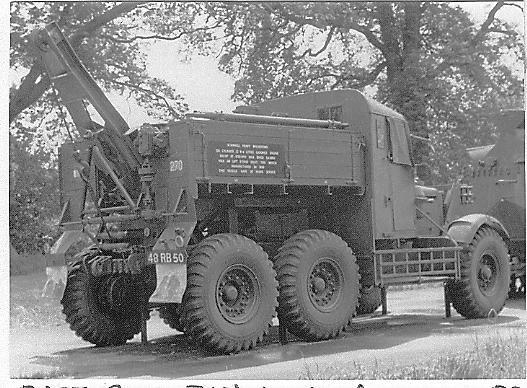 It was dragged out of a hedge in Wales and I beleive it is a Civvy heavy haulage (80 ton) variant and is geared to a little over 12-18 mph. That is indeed "Bastardslow", has anyone seen it recently ? 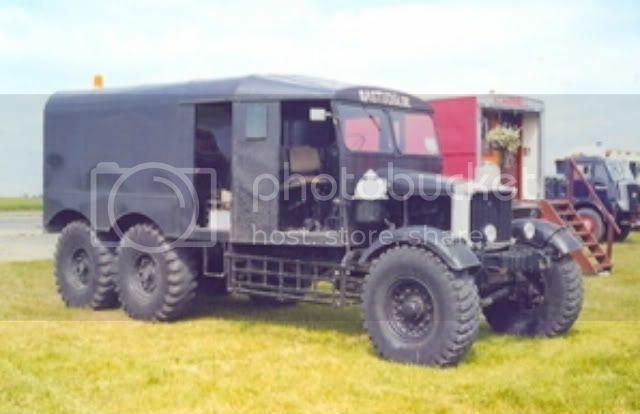 It could be the tank transporter version, or based on it, judging by the long wheelbase. I was given to understand that the rear axle ratio was lower on them with a top speed of around 15 mph. That ties in with the top speed you quote. 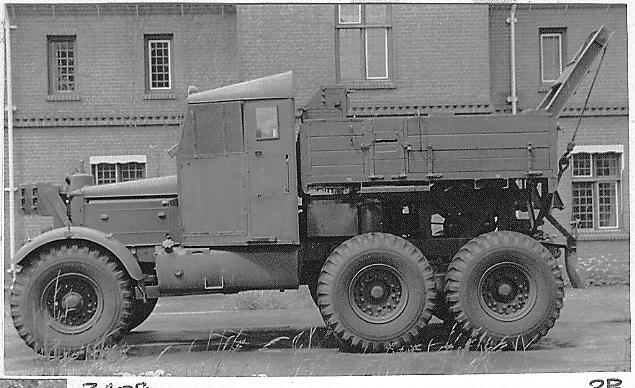 When the REME restored the longest serving Pioneer in the army, which was a recovery that was last used in Belize, it was found to have one of these low geared axles. I remember the chap who collected it from the workshops at Aldershot, saying how a bee was flying along in front of the windscreen and getting away from him! My Pioneer waiting patiently for its trip up north! Here are a couple I saw at a brief visit to Bloxham Steam Rally. The Caffyns one was in the care of Chris Acock and the other was owned by a chap called Terry. 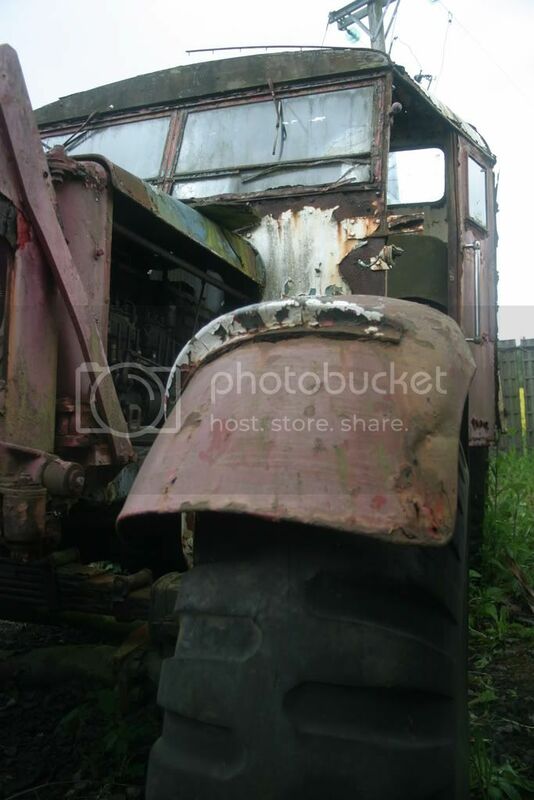 and the other was owned by a chap called Terry. 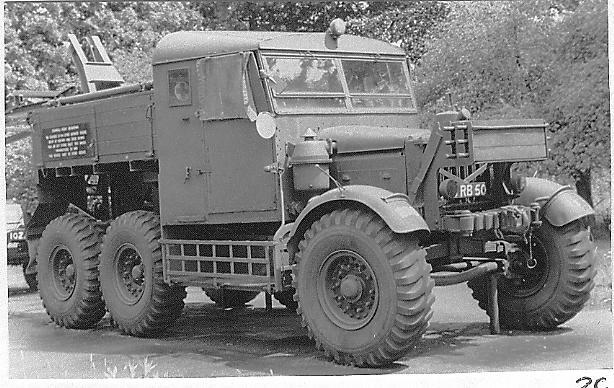 FUF47 used to be in the Warnham War Museum in Sussex, many years ago, and I think was owned by Jeff Theobald. 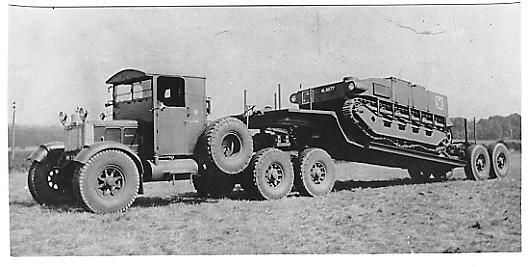 He used to tow a 7 1/2 ton recovery trailer with Bren Carrier on it. I know a man called Terry who is really into Pioneers. He lives in lincolnshire and ownes 4 Pioneers now. Jeff Theobald was indeed the owner/restorer of FUF47, and over the period of its restoration had many more. It is probably one of the most original Pioneers on the circuit and Jeff supplied us with a few hard to find items including the 3 foot hub spanner when we bought ours. Jeff and my father have known each other since the 60's when Jeff had a yard in Exeter where he had countless rare vehicles including Kubel, Schwimmer etc, he also saved the unique Humber Hexonaut from a saw mill not 2 miles from my offices, we also have a cine film of Jeff, Dad and friends in the Exeter yard recieving a GMC CCKW on suspended tow behind a Mack No that was operated by the local garage!! I seem to recollect he had some vehicles on display in the grounds of Powderham Castle and am sure I saw the Hexonaut there. That would be back in early Seventies I reckon. I bumped into Jeff at the Queen Elizabeth country park on the a3 near Hindhead he is into steam cars now,we went over the charlie mann sarga.I am going to see him to hopefully copy all his pics and he has film of Harry pounds yard when it was full of bren gun carriers. I went to visit Peter Allison last night, he lives close to where I work and is in the process of restoring his Pioneer.